Happy new year from the team at DomaCom. We wish you every success in 2016. With your support, the DomaCom Fund continues to grow with nearly 500 investors currently owning fractional interests in many properties. The DomaCom Fund has updated its Product Disclosure Statement (PDS). This was issued late last year, on 9th November. Following feedback from both investors and advisers, we’re pleased to say that the updated PDS now contains changes to facilitate gearing within the Fund. We are currently reviewing various Credit Providers to make up a panel for the Fund and hope to be in the position to notify you of these in the next newsletter (May 2016). Essentially, the new facility allows you to apply gearing to your property bookbuild up to a maximum of 50% (based on the market value of that property at the time of purchase). For the current PDS, go to https://domacom.com.au/the-domacom-fund/product-disclosure-statement/. The purpose of the AML legislation is to regulate financial transactions in a way that will help detect and prevent money laundering and the financing of terrorism. The Financial Transactions Reports Act 1988. Identifying Politically Exposed Persons (PEPs). You may have noticed that when you completed your application form to open an account in the DomaCom Fund, there were a number of steps and identification checks you had to satisfy. These have been put in place to protect you and to ensure that the Fund meets its regulatory obligations. Diversification is the backbone of modern portfolio theory. We’re currently working with a couple of advisory groups to introduce the concept of multi-property portfolios. This concept involves sourcing and packaging multiple properties from boutique and landmark projects by some of the country’s most experienced and best regarded developers to create Income, Balanced and Growth portfolios. Depending on the portfolio type to suit your needs, the properties will range from residential in leading inner-city geographic locations to residential in high growth areas. It’s likely that each portfolio will have between 3-5 properties. In this way, these portfolios can both maximise the upside and minimise the downside of the property market by spreading the investment to avoid concentration risk that comes with putting all your eggs in one basket. If you would like to find out more about our multi-property portfolios, please speak to your adviser first. 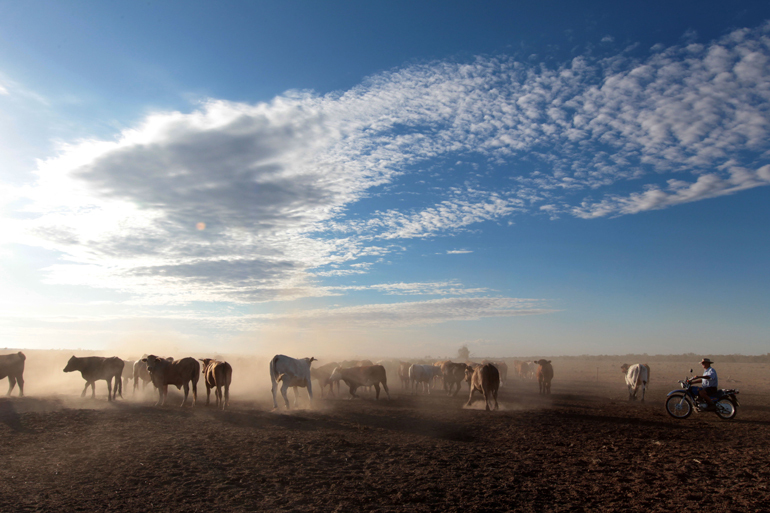 You may have seen in the media recently our bid to crowdfund and acquire the iconic Kidman Station – a group of cattle properties located in South Australia, Queensland, Western Australia and the Northern Territory. 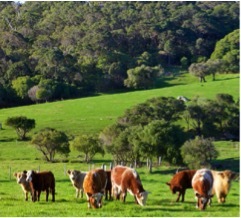 DomaCom is keen to see this agricultural business remain in Australian hands because it is both iconic and, we believe, a good investment and a great way for Australian mums and dads to “own a bit of the farm”. As DomaCom is a property fund our strategy is to separate the land holding from the business operation, the land holding being the intrinsic value of the investment. Sir Sidney Kidman with his brother, Sackville Kidman, founded the company, S. Kidman & Co. Ltd, in 1899 at the age of 42. Originally a small business in droving and trading cattle and horses, he built the business into the world’s largest privately owned landholding that, at its peak ran more than 600,000 cattle and 200,000 sheep. Indicative returns circa 8%-9%* from combined rent and capital growth. This crowdfunding campaign via the DomaCom Fund will be restricted to the land component only. DomaCom is seeking interest from other organisations who may be interested to acquire the operating business. We have been overwhelmed by the positive responses and feedback for the Kidman Station crowdfunding campaign. To date we have received over 4,100 Expressions of Interest and recorded nearly $60 million. Should the Kidman Station be ultimately settled with another buyer, our rural property advisers have already identified several other properties currently on or shortly coming to market that may be snapped up by foreign investors. First and foremost, these properties must represent good investing and whilst they may not have the kudos or provide the emotional historical connection of the Kidman Station, they also have strong investment potential deserving of remaining in Australian hands. There appears to be a growing appetite for acquiring interests in agricultural and pastoral properties in this way. DomaCom will be presenting many more such opportunities so please let us know if you would like to be kept in the loop, or contact your financial adviser.